With this Braai master team building activity you might find the Braai master in you and prepare dishes on the fire with your team that you would never have thought possible. 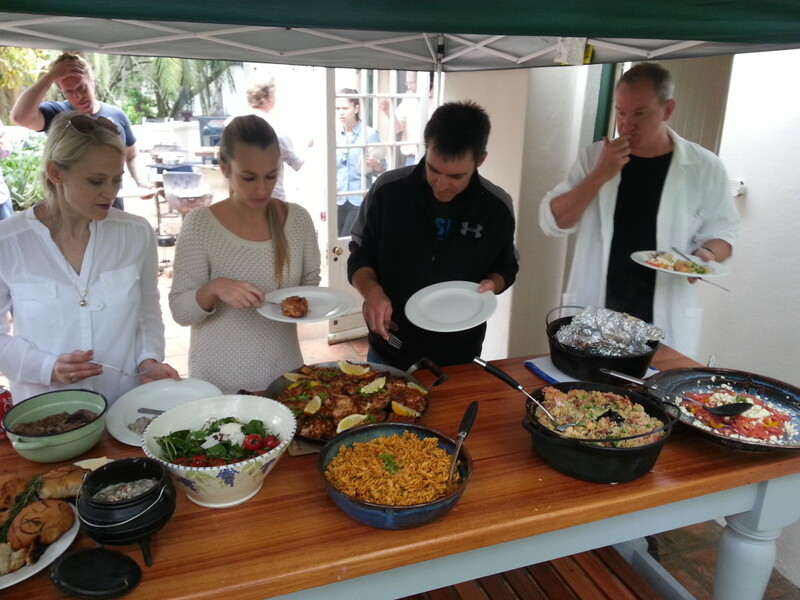 On arrival, your group will be divided into teams that will compete in a Braai-off. Each team is issued with a menu of dishes that they must prepare and a purse of money that will be the budget for the meals they need to cook. The teams will have a few minutes to plan before 4 team members form each team will be transported to the closest shop. Once there, team members get 15 minutes to buy all the ingredients they may need for their dishes while the rest of their team make fire and get the working stations ready. Once the shopping teams get back, it is game on and teams need to prepare dishes, use the props and materials provided by us to decorate their tables, and help each other with whatever needs to be done to make sure that they stand out from the rest. Judges will judge the dishes on originality, presentation, teamwork and last but not least, taste! The day ends with a relaxing meal that teams have prepared on the fires and a prize giving for the winning team. Come join us on this Braai master team building activity. It is great fun and some hidden talents are always discovered! !